Michigan State celebrated on their home ice Friday. Ferris State did the same thing the next night. 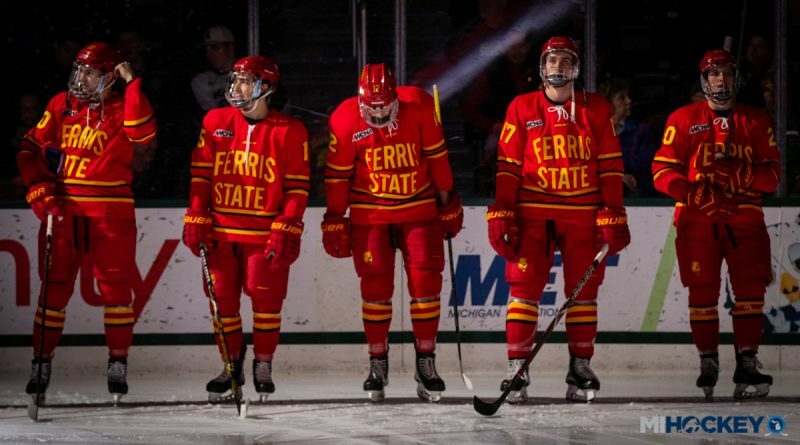 Saturday night in Big Rapids, the Bulldogs evened things up with their former CCHA in-state rivals, beating the Spartans 4-1. Jasen Fernsler, Oskar Andren, Liam MacDougall and Jake Transit scored for FSU in the victory, while Roni Salmenkangas stopped 27 shots for the victory. The Finnish goaltender – a freshman for the Bulldogs – is now 4-0-0 on the season with a .927 save percentage and 1.80 goals-against average. Ferris State is now 4-4 on the season; Michigan State is 4-2.